Mahalo to our wonderful readers! Gary and I wanted to share with everyone that we have started a new venture: www.9to5travel.com. The website provides travel reviews and of course loads of food reviews from around the world. So feel free to stop by and read about our globetrotting adventures. I’m aware that many Vancourites vacation in Hawaii, so I thought it would be appropriate to post about our favorite breakfast & lunch spot/coffee shop/bakery in all of the Hawaiian Islands! 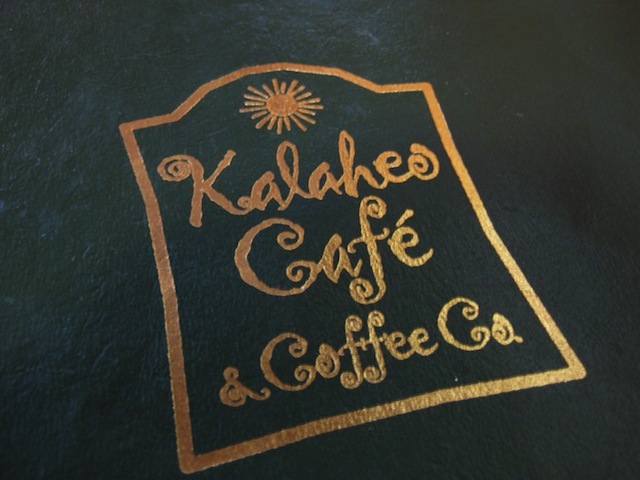 We actually have the reviewers at Yelp to thank for recommending Kalaheo Cafe & Coffee Company. Whenever I read reviews and people through around words like ‘the best this’ or ‘the best that’, I’m always a little skeptical. However, Kalaheo did not disappoint. The cafe definitely lived up to every positive review posted on Yelp. We even enjoyed the spot so much that we ended up eating there every day of our Kauai trip – I was hooked on their pancakes and amazing coffee. Although not pictured, we also tried their equally delicious sandwiches, burgers, and homemade baked goods. 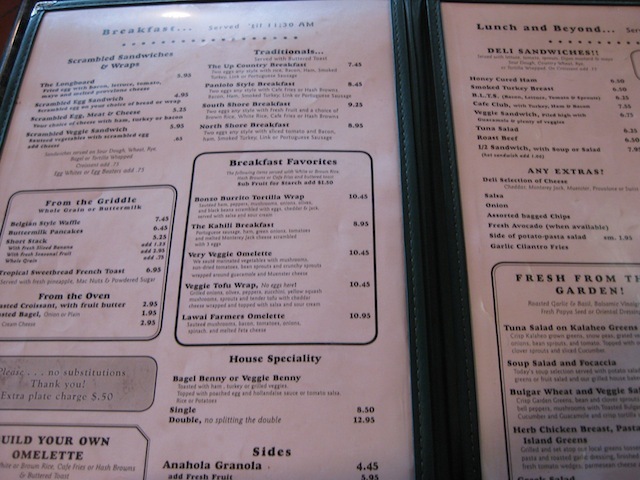 They have an extensive breakfast and lunch menu, and occasionally offer dinner on Wednesdays through Saturdays from 5:30pm. 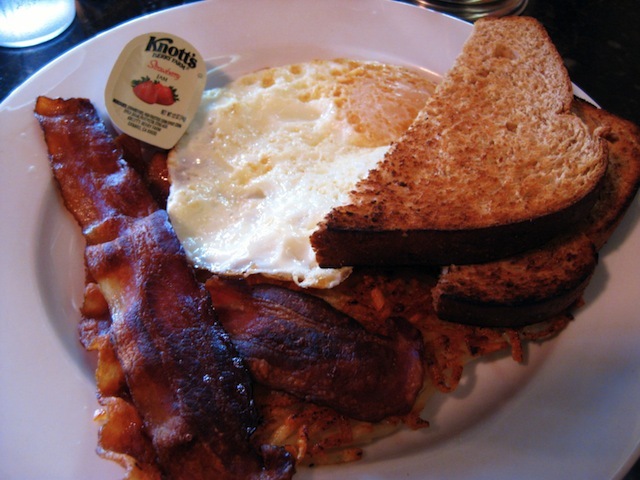 A wonderful, traditional breakfast of bacon, eggs, hashbrowns, and whole wheat toast. A non-greasy, hearty and satisfying way to start our day exploring the island of Kauai. If you’ve been reading EatingInVancouver.ca for a while, you’ll know that breakfast is one of my favourite meals. So when I say these pancakes are one of the best I’ve ever had, you know I’m not being facetious. 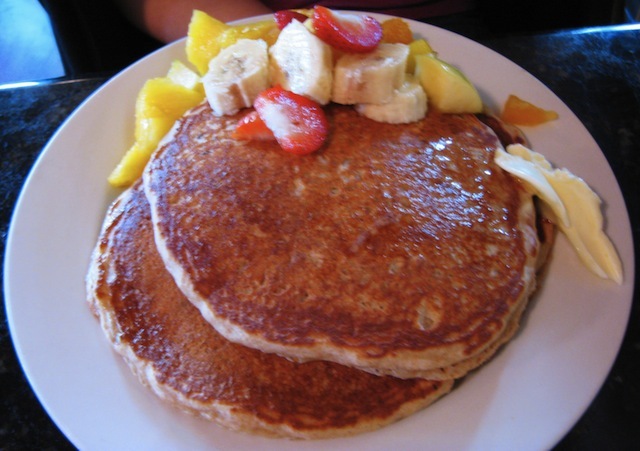 Local, freshly cut banana, pineapple and strawberries on top of heavenly thick and fluffy whole grain pancakes. Perfection. 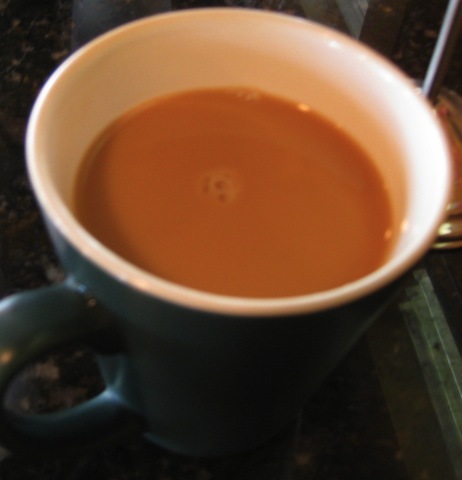 Additionally, this unassuming mug of coffee is one of the best cups of coffee we’ve ever had. Seriously. Its smooth, non acidic taste and intoxicating aroma, just made us keep coming back for more. Vancouver (1st Annual) Foodie Feast Event!